Valentine’s Day is commonly associated with sweets. Right? But have you seen how much a box of chocolate costs these days? Depending on the size & quality, you could easily spend upwards to $50 for a box. YIKES! And even then – there’s either not much in the box or the chocolate is plain gross….. So why go broke over store-bought stuff when you can DIY something at home that is SOOOO much better! 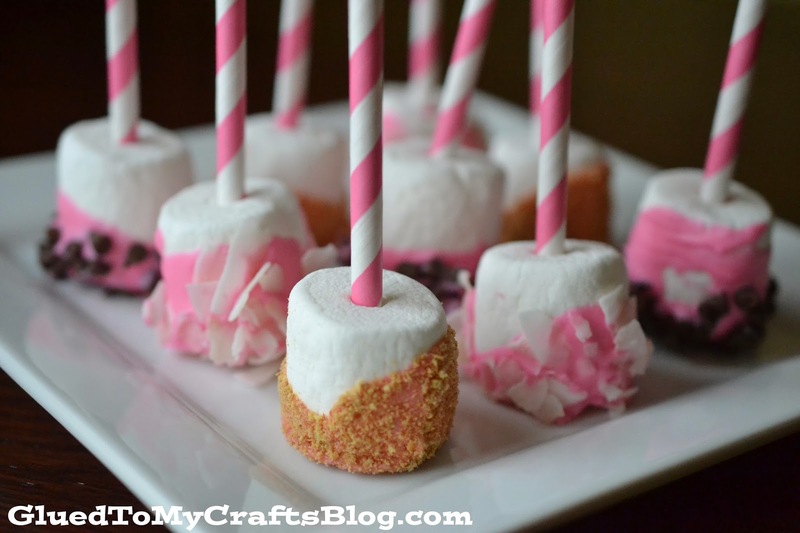 The nice thing about today’s sweet Valentine’s Day themed Marshmallow Pops tutorial, is that if they are stored in an airtight container, they can last a few weeks. Plus you can change out some of the toppings I used, for what you like or have on hand. You can really get creative with this! 1. Place a sheet of wax paper down. 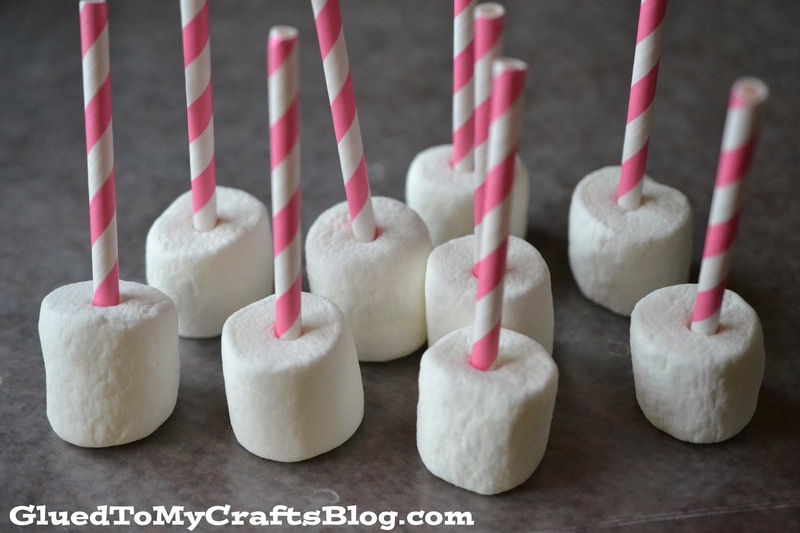 One by one, stick a paper straw half in the center of each marshmallow and place on wax paper. Set aside. 2. Follow the directions on the back of Candy Melts to a “T” and melt your chocolate in a bowl. This means microwaving candy melts for a few seconds, stirring and repeating, until you get the consistency you want. Just be sure to watch that you don’t “burn” your Candy Melts. 3. Place all your toppings into separate bowls. 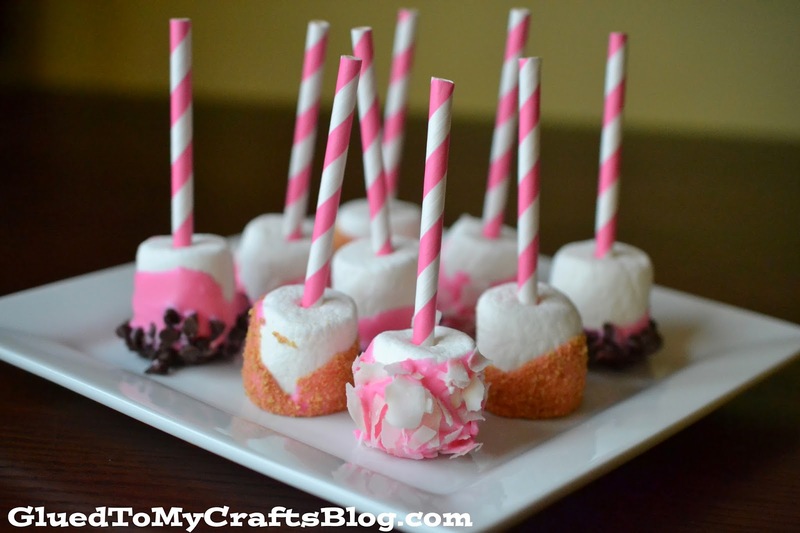 Once the chocolate is completely melted – dip/roll your marshmallows into the chocolate, then into the desired toppings. 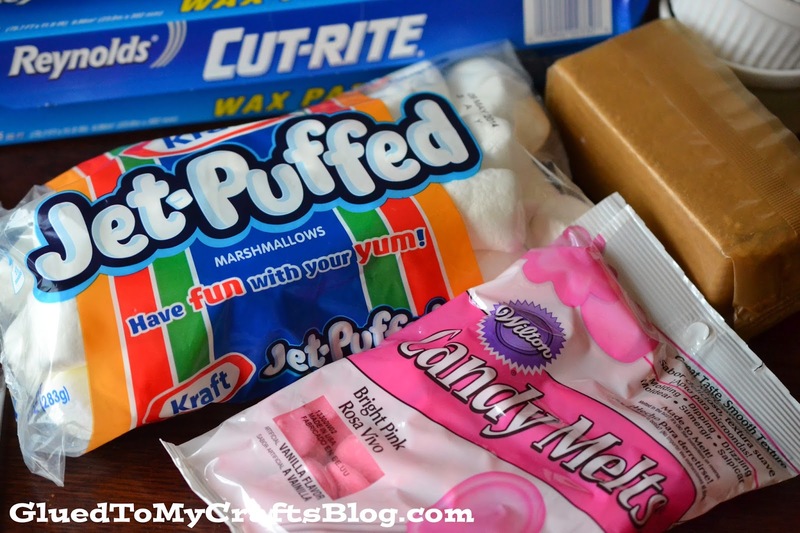 Then right away, place marshmallow on wax paper to harden. I left mine alone for 20 minutes. 4. Then store in airtight containers. To gift, place in bags that have a tight seal. This way the marshmallows won’t get hard. 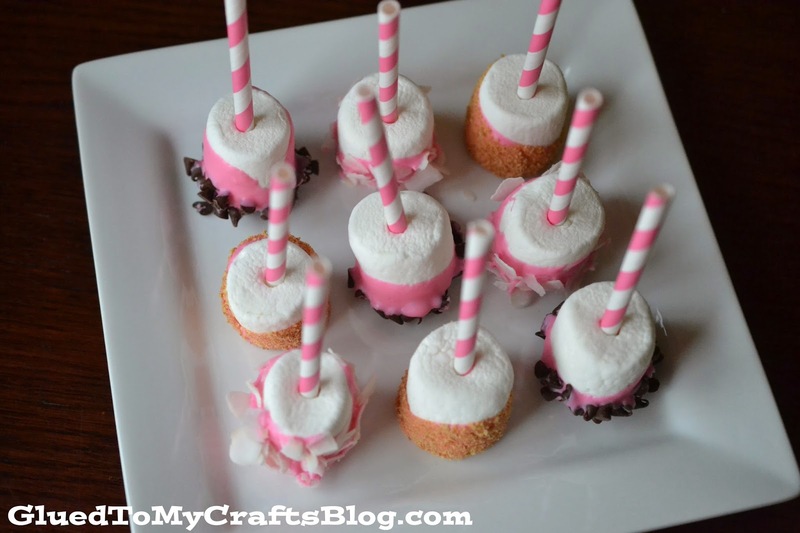 These pops are not only great for maybe a significant other – but they make great “single” serve treats for school age kids. 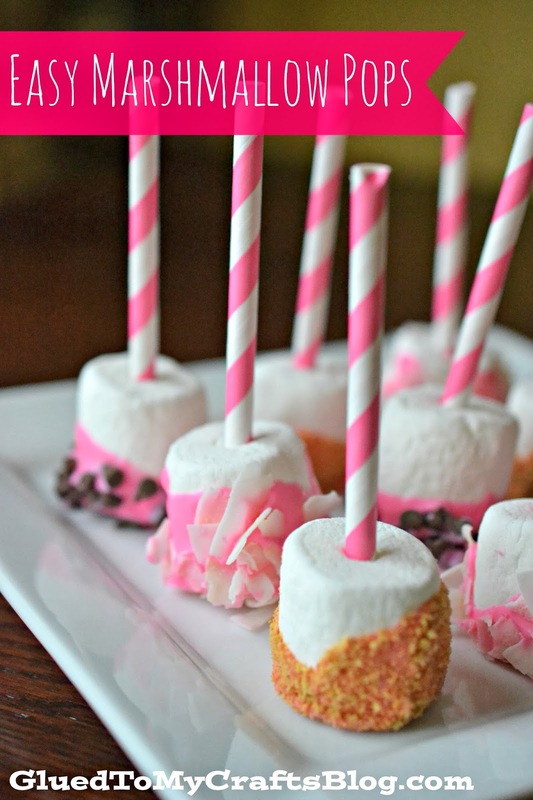 Other topping ideas for these marshmallow pops is : crushed Oreos, your favorite cereal or even sprinkles. 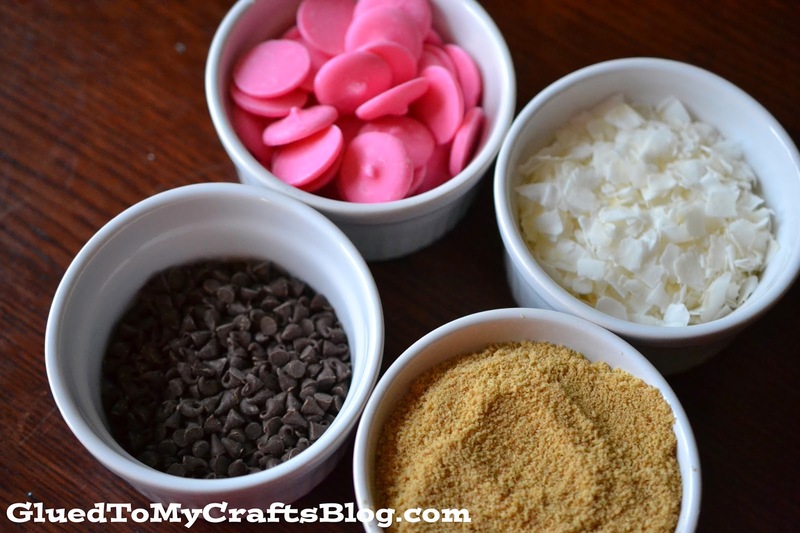 Change up the colors/toppings so you can make them all year round. Like any “chef” I had to do a taste test on these and my favorite was the marshmallow pops with graham cracker crumbs. Tasted like a smore, but without the mess!